The perfect winter escape is just a state away! 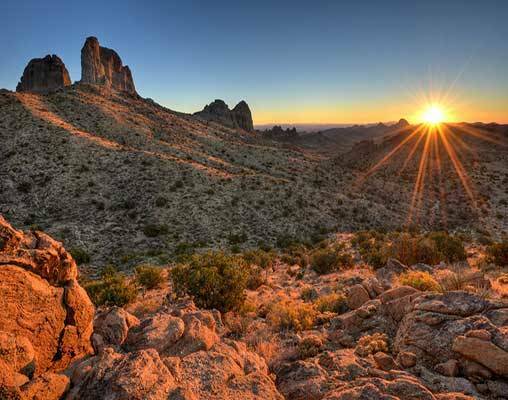 Receive $100 per couple off qualifying National Park rail vacations when booked by April 30, 2019 for travel in 2019. Use promo code ANP100. Offer is valid for new bookings only made by April 30, 2019, for travel in 2019. Offer has no cash value and is non-transferable. Not available on Group Travel. Offer is subject to availability and may be modified or withdrawn at any time. Additional terms and conditions may apply. The perfect winter escape is just a state away! Travel by train from Los Angeles’ historic Union Station to one of the Seven Natural Wonders of the World, the Grand Canyon. 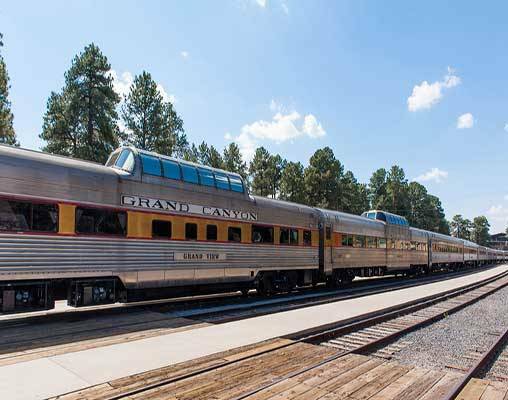 This perfectly-planned getaway includes travel aboard Amtrak’s iconic Southwest Chief and the historic Grand Canyon Railway, accommodations in Williams and Grand Canyon National Park, sightseeing at the famous South Rim of the Canyon and more! When you awake this morning you will be nearing Los Angeles, scheduled for a 8:15 am arrival at Union Station, where your winter escape to the Grand Canyon comes to a close. (B Sleeping Car passengers only). 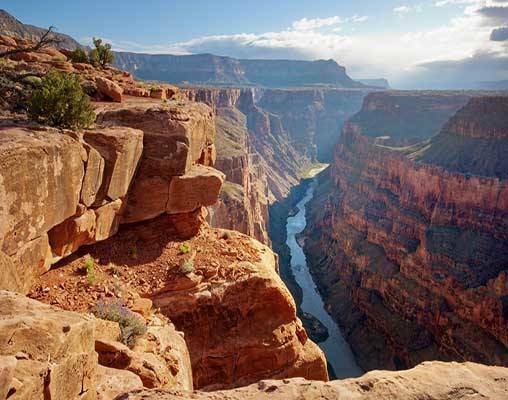 For additional dates please see Grand Canyon Railway Rails to the Rim Adventure - Los Angeles vacation package. Enter your details below if you would like to be notified when 2020 dates and prices are available for Winter Escape to the Grand Canyon - Los Angeles Round-trip. Seniors discounts are available for travelers age 62+. Child rates are available for travelers age 2-15. * Arrival and Departure times are subject to change. Please be advised that passengers traveling on Southwest Chief Trains may encounter delays of approximately three to six hours due to heavy congestion, speed restrictions and other operating conditions. Prices are land-only, per person based on double occupancy and are subject to change. All reservations are based on availability at time of booking.